Over the last 15 years, the category has undergone massive transformation. Originally centered around email marketing and website behavior tracking, marketing automation has transformed into something else entirely. Today’s leading platforms include functionality supporting content management, omnichannel marketing, advanced analytics, data management and open APIs that create ecosystems of value added applications. When marketing automation was first introduced, marketing and sales still were taking a company-centric approach to their prospecting efforts. But changes to the buying cycle and advances in digital technology have shifted company prospecting efforts to being customer-centered. Appropriately, this has led to a reemergence of account-based marketing (ABM) and other customer-focused approaches to improve sales and marketing performance. Artificial intelligence, predictive lead scoring and advanced use of data are now leading marketers to be even more sophisticated and targeted in their program and campaign planning. Since marketing—and the processes used—have transformed so quickly, we need to rethink how we classify the very technology that has been a catalyst for the change. It is no longer appropriate to take a company-centric approach to describe the technology. Because today’s sales and marketing efforts are becoming more focused around the customer, we should rename the technology to Customer Engagement Platform. There are a few steps modern marketers need to take to shift towards a customer-centric approach. First, companies need to define the buyer’s journey for each major customer group (ex: Enterprise, SMB). This does not need to be overly complex. Most buyer journeys are typically five to seven phases. Next, marketing should work with sales to define five to seven personas for their main segments (ex: CFO, Enterprise, VP Sales, SMB). Personas should include demographic and firmographic data, along with needs, wants and behavioral triggers. An important thing to do at this step is to validate the data—both internally and externally. Many companies skip this step only to find out later that they don’t have the right data in their CRM and marketing platform to support the personas and buyer journeys they created. To validate, start by reviewing your CRM and marketing platforms to see how many people fit into the personas you just defined and whether the data is complete. If it is not, you need to refine your approach and repeat the process. Next, speak with analysts and your customers and ask them if what you defined makes sense and is accurate in their eyes. Take their feedback and incorporate it back into your efforts. Once you have validated your buyer’s journey and personas, it is time to review both your content and your marketing approach. Start by auditing all your content. You do not need software for this; Excel works quite well. Mark each content with what persona and stage in the buyer’s journey it pertains to, along with the type of asset and channel(s) it is shared through. Once complete, run some pivot tables and you will quickly see where the gaps are. For most companies, it is in the mid- and later stages of the buyer’s journey. You can now use this information, combined with your sales and marketing goals to focus your content and channel approach to become more customer-centric. The role technology will play in scaling your personalization efforts will depend upon which systems you have already have in place. Marketing automation and email platforms can be set up to segment based on persona and customer profile data. Your website, if built on top of a Content Management System, can be quickly tailored to have your navigation and path become more customer-focused than product-focused. From here, look to integrate your paid and organic search efforts with your marketing platform. Adjust your ad buys and your search optimization to focus on persona need, then use UTM parameters integrated with your marketing platform to track conversion. Social channels can also be integrated to support a more customer-oriented approach. Customer engagement is here to stay. Marketers who embrace it and leverage data to drive their decision-making will outperform their competition and make a meaningful contribution to their companies. Today’s economic engine is being driven by marketing. Are you ready to get behind the wheel? 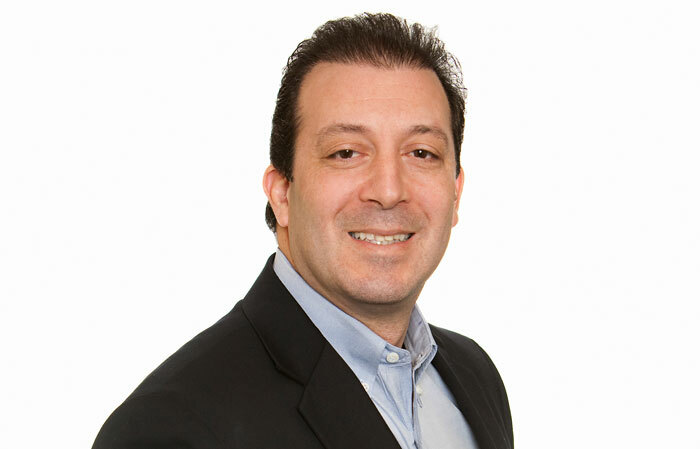 Jeff Pedowitz has more than 25 years of experience leading successful B2C and B2B organizations. As Founder and President of The Pedowitz Group, Jeff is responsible for setting the company’s vision and strategic direction along with managing all daily operations. Widely recognized as an industry expert and thought leader, he frequently writes and speaks on a variety of topics related to Revenue Marketing™, demand generation, marketing operations and marketing technology.